I have been drawn since first becoming a reader to the sense of adventure that the opening pages of a long novel inevitably evoke. It is the closest equivalent I know to setting off on an actual journey. And in the last pages, if the book is good, you are tired but also elated and you want it to continue, because now you know this story, these characters, their lives, memories, and experiences. 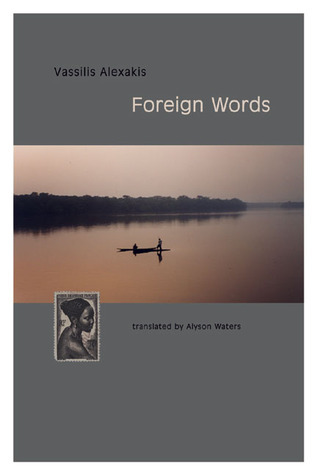 I was drawn to translation as a way of intensifying this experience, allowing greater access than a mere reader, but also, and this is crucial, giving responsibility for encouraging others to feel what I felt while reading. Miljenko Jergović’s Rod is a massive adventure with a wide scope, a novel that traces the intersections of lives, countries, and regions, from the early twentieth century to the present day. The theme of mixture is a central feature and one of the most attractive aspects of the book, an idea that is still contested in many parts of the world. 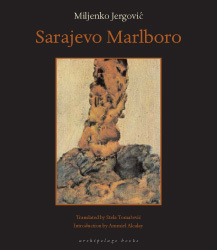 Jergović’s embrace of this mixture as his heritage along with his fundamental doubt in political structures that attempt to offer ideologies of purity—ethnic, religious, or otherwise—make his an absolutely contemporary voice. At the same time, he is a writer’s writer, reflecting carefully on his work as he goes, with formal innovations and inventions. The rest is at the PEN site. Okay, that’s enough. If I quote more, I could be infringing on copyright, which makes me very afraid. You can read the rest here! if you’re interested. I should note that this is not the first time that Waters has taken my breath away by her work. Her translation of Vassilis Alexakis’s Foreign Words was just the second book that Autumn Hill Books published. I think it is still one of the very best. I’ve had the treat of just returning to Yuri Rytkheu’s novel A Dream in Polar Fog (trans. Ilona Yazhbin Chavasse; Archipelago Books, 2005) to teach it in my class this semester. If it were just an adventure story, one would not expect the book to have been published by a press with Archipelago’s literary credentials. And indeed, while plot is what drives the book forward, local color gives it depth. Add a dose of historical fiction, and the novel lopes briskly along on three legs without the need of a fourth, be it character depth or stylistic complexity. Searching for these will lead you down a side path in approaching this book, where you’ll likely lose sight of the emotional truth and compassionate understanding that lie at its core. The story unfolds in the far north-eastern corner of northern Asia, in the village of Enmyn, where a young Canadian explorer, John MacLennan, has been injured after an attempt to blast free his ice-bound ship. The ship’s captain appeals to the local Chukchi tribesman (a people closely related to the Eskimos), who agree to transport MacLennan by dogsled across the tundra to a Russian hospital in exchange for three Winchesters, a box of cartridges, and a two-handed saw. It is the Fall of 1910. There is a good deal of mistrust and chauvinism on both sides, but the helplessness of the Canadian — he has been wounded in the hands — creates natural points of contact: he cannot eat or drink on his own, or unfasten his own trousers in order to urinate. When the travelers are stranded by a blizzard, he becomes so ill with fever and infection that they must call on a local shaman woman to amputate portions of his damaged hands. The ensuing scene is both brutal and riveting as four men hold down the screaming invalid while the old woman washes his wounds in puppy’s blood and applies her knife. With this striking opening, MacLennan’s misfortune, and, in truth, his transformation, has only begun. On returning from their aborted journey, the travelers find that the recent storm has cleared the ice that prevented the ship’s departure. MacLennan’s shipmates have sailed for home, leaving him behind. By seventy pages in, the setting has been prepared for MacLennan’s — and largely through him, our own — intimate journey with the Chukchi people. The Chukchi for their part adopt MacLennan, caring for him initially as they would a helpless infant. He moves in with Toko, Toko’s wife Pyl’mau, and their small son, and begins slowly to learn and appreciate Chukchi ways — their language, their beliefs, their methods of survival in the often unforgiving environment they call home. The author announces his ethnographic intent from the very start by footnoting a variety of Chukchi terms, for parts of the home (chottagin, polog), foods (kymgyt), clothing (kamleika, kerker), and animals or tools made from them (yarar, kamuss). Likewise, he explains aspects of Chukchi cosmology, for instance that the “Invisible Land” means Wrangel Island, or that “fast ice” forms in shallow water along the coastline. Such direct commentaries become less obtrusive (fortunately) within the first thirty pages or so, giving way to the characters’ own observations. Mostly these are MacLennan’s views of the Chukchi, but Rytkheu doesn’t shy away from shifting perspective — sometimes abruptly — in order to allow the Chukchi a reciprocal look at the foreigner in their midst once in a while. As MacLennan heals and learns to live with his disability, he comes not only to appreciate his hosts but to respect and love them. With a growing sense of responsibility, he assumes the role of a provider, learns to hunt, takes part in their trade with the outside, their internal rituals, their domestic affairs. He marries and has children. In the ensuing eight years of his life among them, he comes to see the Chukchi more and more as his people, and takes a jealous, hostile view of the influence of outsiders. MacLennan sometimes expresses Rousseau-like attitudes towards the Chukchi, suggesting, for instance, that their existence requires no literacy or books, that theirs is the most sensible way of living, that they are closer to nature and freer and untainted as a result. While he never chooses the outside world over his adopted one — even after a surprising visit from a close family member near the end of the book — these noble savage ideas are toned down as his experience with the Chukchi deepens. And one can’t help but see irony in the author’s presentation of MacLennan’s simplistically rosy views at times, as when MacLennan writes in his journal that the people are uncomplicated but immediately thereafter is reprimanded by the village elder for not following proper etiquette after his daughter’s birth. What MacLennan comes to prize is not the Chukchi people as some more or less abstract, idealized good, but the uncomplicated fullness of his own place among them, despite his occasional mistakes and unfulfilled longings. I suspect that American readers might be inclined to see the sudden announcement that the Bolsheviks have seized power, in the work’s next to last chapter, as an ominous note for MacLennan and his adopted people. This would be a mistake. Even if Rytkheu had such thoughts (which is unlikely, given the considerable Soviet support for Chukchi culture), he certainly would not have been able to express them in such a direct manner in a book published in 1981 in the USSR. And indeed, the news is delivered by a two-faced American capitalist named Carpenter, who is trying to trick MacLennan into leaving Chukotka. He wants free reign to trade (cheat) and gobble up the gold discovered in the streams on Chukchi land. MacLennan keeps Carpenter honest in his business dealings, and the Chukchi have no need for the gold. His ultimate response to the businessman in effect likens socialist doctrines to the absence of personal property among the Chukchi. He has no fear of the Bolsheviks’ arrival. This is a perfectly orthodox Soviet message. But MacLennan does voice concerns for the future. The Chukchi’s fragile, living balance with their environment is under constant threat, and the march of civilization — through trade, exploration, politics — is having an ever greater effect upon them. MacLennan’s personal journey, his experience of loss and renewal, his gratitude, sense of belonging, love, and respect, have fostered in him a keen sense of responsibility for the Chukchi’s continued well being in the difficult times to come. By the story’s end, this is a sense that we cannot help sharing. I hope my students appreciate it as much as I do. I plan to supplement it with a few of the literary myths presented in Rytkheu’s Chukchi Bible (same translator, same press, 2011).